I’ve never experienced a burn-out before. I always assumed it occurred much like it sounded, a slow burn. I expected to see myself logging in less and less until finally I just gave out. That wasn’t how it went at all. It was a roman candle burn-out. I guess that’s to be expected when I’m burning the candle at both ends. My home life was a huge unrest to say the least. For those who don’t know. I’m married and raising two children. One is special needs, and the other just has special needs (no official diagnosis or anything). Two and four for those interested. That, coupled with a raiding schedule, guild manager duties, and blogging duties, it was just way too much. I know that now. I knew it before I officially walked away. I suspected it at the beginning. What’s happened since I’ve left? I kept up with the community for a little while (longer than I expected) but work got exciting and I stopped reading the blogs. I’ve only talked with old guild mates a couple of times. The guild is now completely barren. That was to be expected, and probably should have happened even if I had stayed on. We were struggling to say the least. Obviously I haven’t posted anything to this blog, and I don’t know if anyone still has me in their readers. In other news, I hear there’s an expansion coming. Which brings me to my next point. I poked my head back into the WoW community the other day only to find out the BlizzCon happened, and the new expansion was announced. Immediately I’m reading through blog posts, blue posts, speculation, and I’m as excited as a kid on Christmas morning! I haven’t played this game since May and I had my mind made up I would buy the expansion…with the full intention of NOT playing it, because after all I don’t play anymore. That’s a touch of crazy and maybe I’m just a fan boy, but like it or not this is who I am. I’m not saying I’m coming back for sure, but I realized something this past week. I miss this game. I miss this community. The very same community I griped about non-stop for being full of assholes and jerks at the top end. I miss playing a game a company like Blizzard creates. As a software developer they continue amaze me professionally and it’s one of the things I love the most about this game (future post topic for sure). Maybe I’ll become an alt maniac. Maybe I’ll just invest in professions and play the auction house like I’ve always wanted. Maybe I’ll try my hand at PvP, which I’ve always been terrible at. Has anyone gone through this? Have any advice for me? Should I go back to my same server or should I just move on? How do I get started down this path in today’s WoW? Also, what have I missed?!?! So I’m going to be that guy who posts about the Blizzard Premium services. 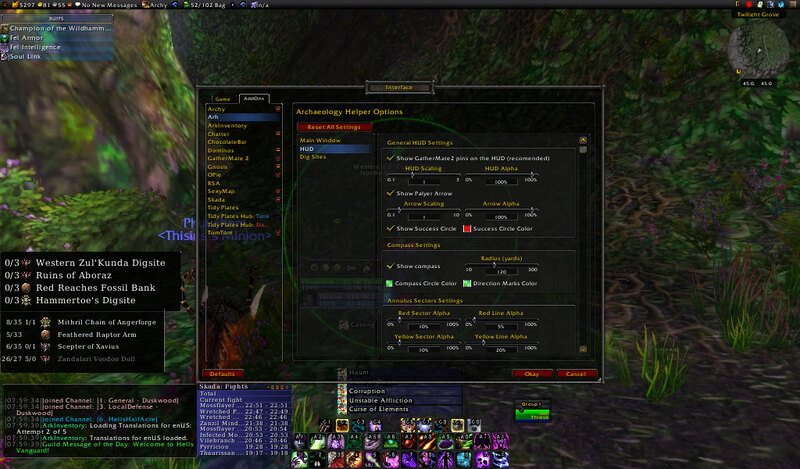 Mostly because I forgot to upload my screenshots over the past few days so my UI post is out the window. For the record I don’t like the addition of these services as premium features. I do however think people get it all wrong about this stuff when they complain about it. This decision by Blizzard has nothing to do with gameplay experience and everything to do with economics, and that’s where I think they have it wrong the most. I really try not to gripe too much about Blizzard because I don’t want to turn into an angry blogger, and I really do love the game. I do however think it’s fair game to criticize Blizzard over not doing what they said they would do. Almost all of the overall design goals for this expansion I immediately agreed with, but then again I feel like a good amount of them missed the mark when the expansion hit. Heroics and end game content in general is harder. They stated that as a goal from the outset and they delivered on it. You can’t deny that overall progression this tier is remarkably slower then the first tier of Lich King. Being difficult for the sake of being difficult isn’t a fun thing in my opinion, but largely they haven’t fallen into this. The talent reboot. When they first announced it I was skeptical. Not because I didn’t think it was a good idea, I just thought it wasn’t the real reason they were doing it. Adding another 10 talent points with every expansion with another 2 levels per talent tree was feeling bloated. It doesn’t scale well at all for future expansions. By this expansion or next, I wouldn’t be able to tell you half of the things I was specced into and most of them were different variations on the same thing. They didn’t say this was their reason though. They said they wanted to do it because they wanted to give people more choice in their talent specs. Give people the option of having a bunch of variations on any “optimal” spec to run with so they can pick up purely “fun” or “interesting” talents. They never delivered on that. The builds today maybe have a couple of points you can move around for things, but you’re almost always sacrificing a little bit of damage, throughput, or survivability to get it. Again, I don’t have a problem with the talent reset because overall I think it’s good for the game. I just think it would have been better if they said it was because they want the game to continue for another 10 years and having talent trees with a million talents in them just doesn’t work. What is going on with healing and damage?! The big word when the expansion was looming was “triage.” Ghostcrawler talked about how they were normalizing stamina so everyone had large health pools, and this was going to allow players to take damage and survive it for a bit of time so the healers weren’t frantically healing everyone up right away. The way they described it wipes would happen more often because healers ran out of mana rather then tanks or DPS get 1 or 2 shot. If a healer ran out of mana then your DPS had to make sure they were utilizing all their survivability techniques and avoiding avoidable damage to help that healer out. This is so far from the truth I feel like I’m living in the Twilight Zone. Triage healing does not work in a world where unavoidable damage ticks for 40k per second (see:Daakara). The reason they wanted to make these changes was because having people get one or two shot and then causing a wipe wasn’t fun, and it was also a stressful job for the healers because one wrong button push means it’s all over. This wasn’t so bad in Wrath because most healers pushed only two or three buttons anyway. Now with mana costs they’re making healers use all of their heals, but didn’t expand the time window to heal people up. I don’t really know how to fix it, but I am going to do my best because I don’t like raising problems without bringing solutions. First I think that the problem is with understanding the healer’s mindset. 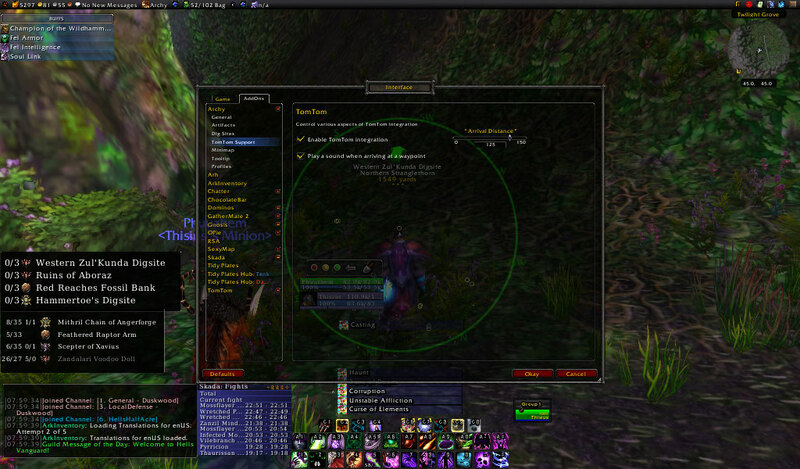 Healer’s don’t like to see bars any color but green, and want them full up. That after all is their “job” and what they love to do in the game. If you’re going to stick with a triage healing mindset then we need to agree on triage care and balance encounters around it. In my mind triage care means that you as a healer have a limited amount of resources, and the time you spend healing one person is at the expense of healing another person. The goal being that you give each person the least amount of care necessary to make sure they continue to survive. All of this is a fancy way of saying that raid wide damage, and avoidable damage, in an encounter should be balanced around the use of HoTs. Unavoidable raid wide damage should be balanced so that players can survive it if they are hit with a HoT during or just after. Avoidable damage should be balanced with an understanding that a varying amount of players are going to get hit by it depending on the type of damage it is. In other words a no-cast, ticks-every-second fire wall is going to hit a couple players, but a two second cast time means that most of the time no one should be hit by it. So I’m all about improving my skills, both in game and in real life. I’m constantly struggling with a lot of different things, and some are the most basic. Secretly, I’m a terrible WoW player, I’m certain of it. I think during the 4.2 testing phase I’m going to take you readers on a scary adventure. An adventure where I learn a lot more about my favorite class than I ever have before. I’m ashamed to admit it, I found Ask Mr. Robot very confusing! I know you’re probably sitting there shaking your head at me, but if any of you are wondering exactly how Mr. Robot has answered your questions read below and I’ll do my best to answer your questions with what I’ve found.